StyloPay offers White label NFC payments & mWallet solutions that simplyfies domestic and international payments. The flexible business model empowers mWallet service providers, businesses and financial institutions to setup and quickly run payment solutions at a low cost. StyloPay differentiates itself by building customized solutions for each of its micro markets such as Hospitality, Retail, Education and Remittance. It stays at the leading edge of technology by deploying Host card emulation, Tokenization, block-chain and crypto-currency to achieve speed, security and cost reduction. Through Stylopay's open APIs, businesses can access international Issuers and Processors onboarded on its payment platform. Coupled with loyalty benefits and cash-back offers, StyloPay’s mWallet solutions are convenient and useful for both consumers and businesses which eventually drive Mobile Payments adoption. Prepaid card programs are managed from Stylopay's Program Manager. Cards are digitized and card nos. tokenized for usage in the mWallets. With a travel mWallet, a traveler can convert FX on-the-go, withdraw money from cardless ATMs and pay for city travel and purchases. With a corporate mWallet, an employee can receive salaries and other expenses from their employer into their wallet and then spend through the digital (or physical) pre-paid card. Remit mWallet allows low cost remittance from UK and US to a host of countries/currencies. 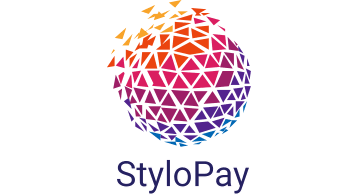 StyloPay was founded in 2014 and is headquartered in London, UK. It's led by experts in payment technologies and solutions and mobile applications and mentored by well known personalities in payments area.